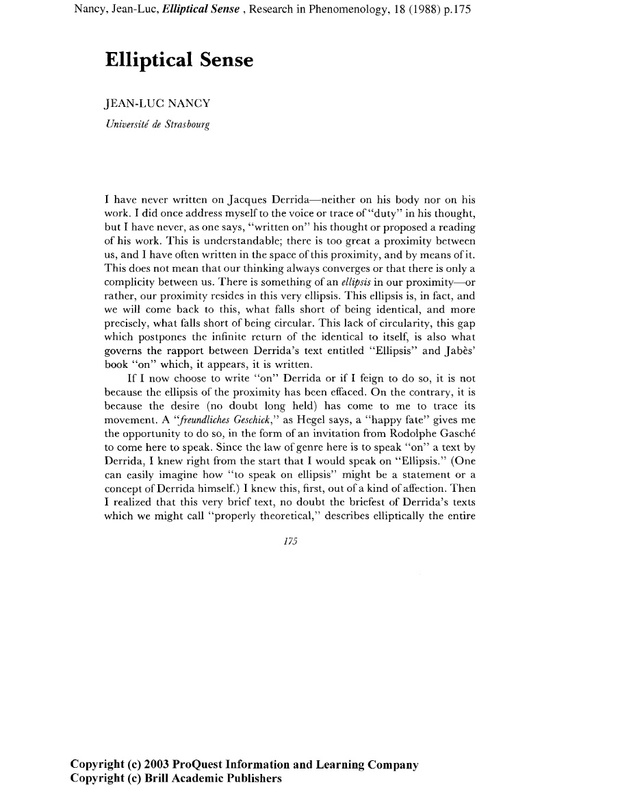 As a chapter in his journal Research in Phenomenology, Elliptical Sense by Jean-Luc Nancy addresses the work of Jacques Derrida. Aware of their similarities and proximity in writing, Nancy uses this text to explore subtleties of difference between themselves, and consequently the particularity of sense making and definition. Using the poetic symbology of the 'ellipse', Nancy explains how thoughts often converge around certain points, but as the ruminations fall short of being circular, the orbit of thought both helps to centre and de-centre it from meaning. 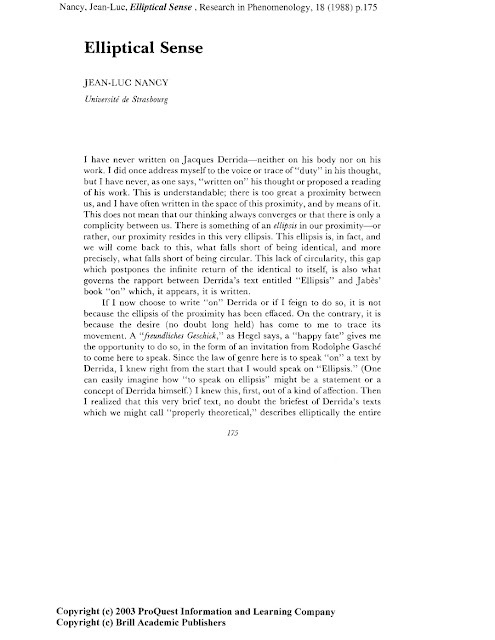 This linguistic tactic by Nancy demands a poetic distancing from the topic at hand and therefore he realizes that to write on ellipses would require him to not exactly write "on Derrida", but requires "accompanying the movement or the movements of the ellipsis for no other reason, in sum, than the pleasure of repetition."